Joe Nguyen moves all in preflop and Babe Prescott finds a call from the BB to put Nguyen at risk. Nguyen 9above) shows Ace_Svena d Prescott has King_Ten. 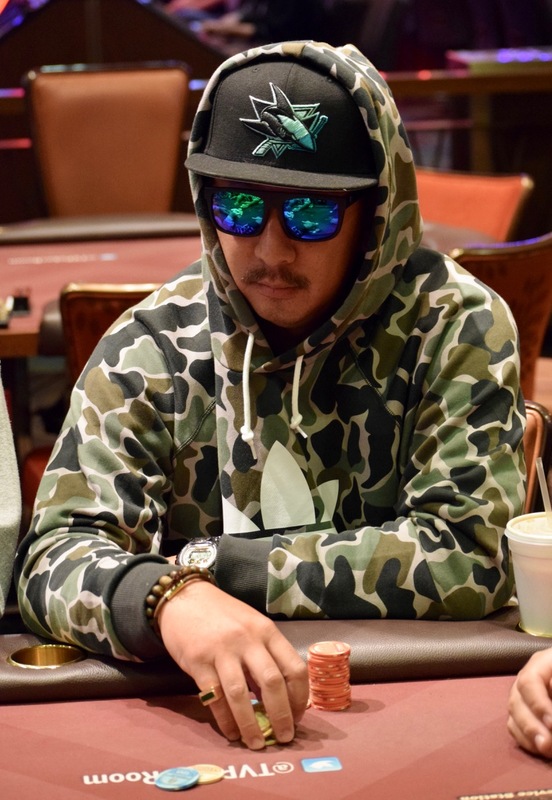 Nguyen is ahead until the dealer peels a Ten on the river, knocking Nguyen out in 18th place, a $2,943 cash. Tom Spruitenberg is eliminated a few hands later in 17th cashing for the same $2,943.